Easy assembly with quick-lock fasteners. Shelf count includes bottom of bookcase. 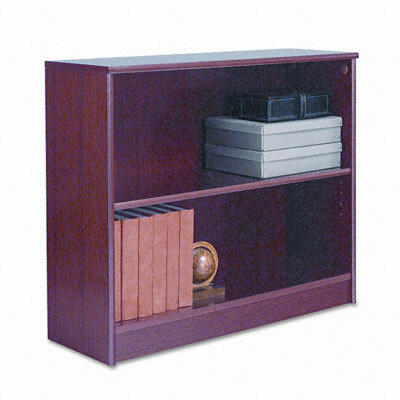 Traditional wood veneer bookcase features hand-finished routed edges and full-finished backs. 3/4" thick solid hardwood shelves measure 11-3/4" deep, adjust in 1-1/4" increments and support up to 150 lbs. Easy assembly with quick-lock fasteners. Shelf count includes bottom of bookcase. 36w x 12d.